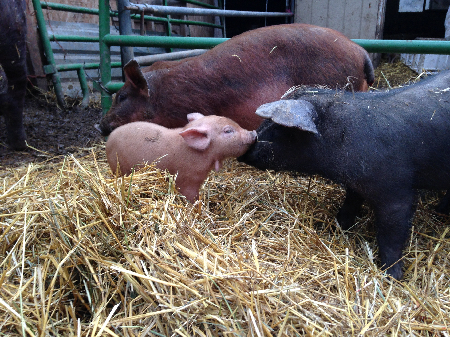 We love to talk pigs, So questions or inquiries are always welcome. 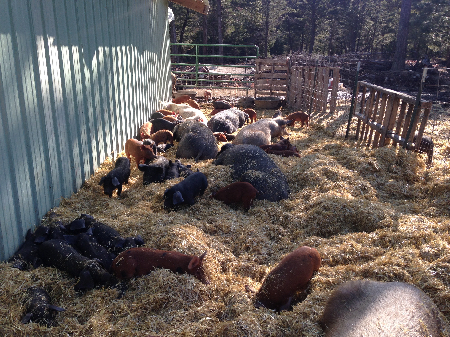 We breed year round, having usually 10 TO 20 litters of RED WATTLES a year. 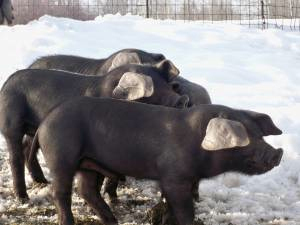 We also have select adult 6 to 12 month old breeders. 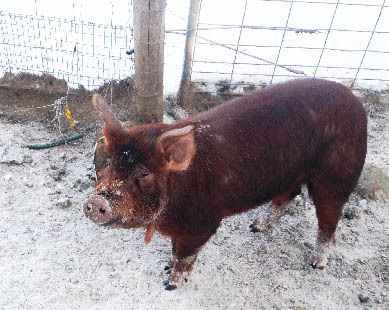 We offer Bred Sows. 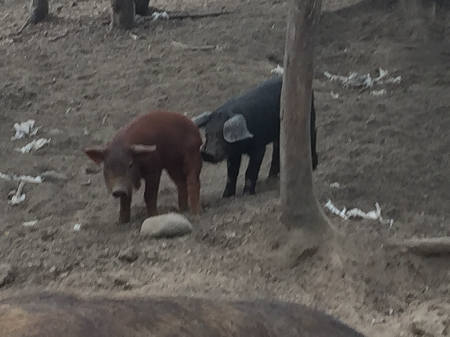 yearling gilts, and yearling boars. 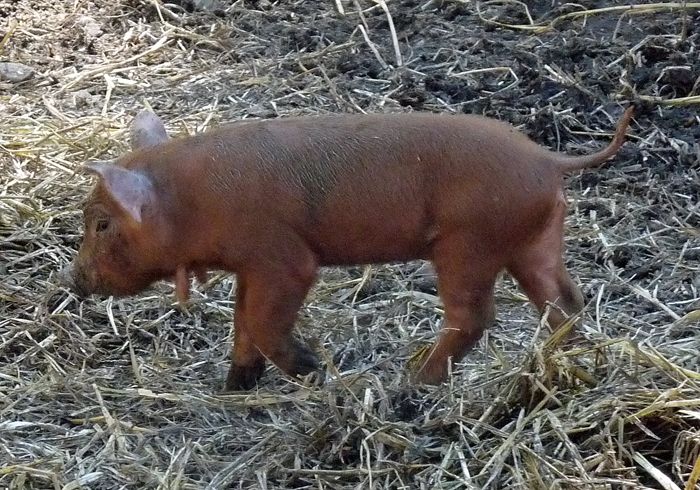 WE DO HAVE SEVERAL BRED RED WATTLE SOWS, DUE TO FARROW mid to late March. Price subject to pick up no later than March 10th. These prices are for pick up or delivery no later than end of May 2019. The prices are greatly reduced due to the my health. 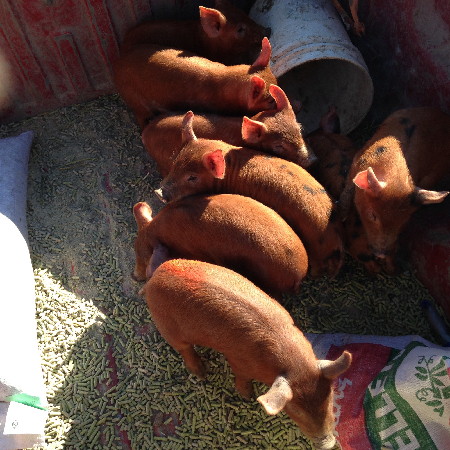 One Red Wattle Butcher PIGS usually available with 30 to 60 days notice as most are sold prior to being finished. 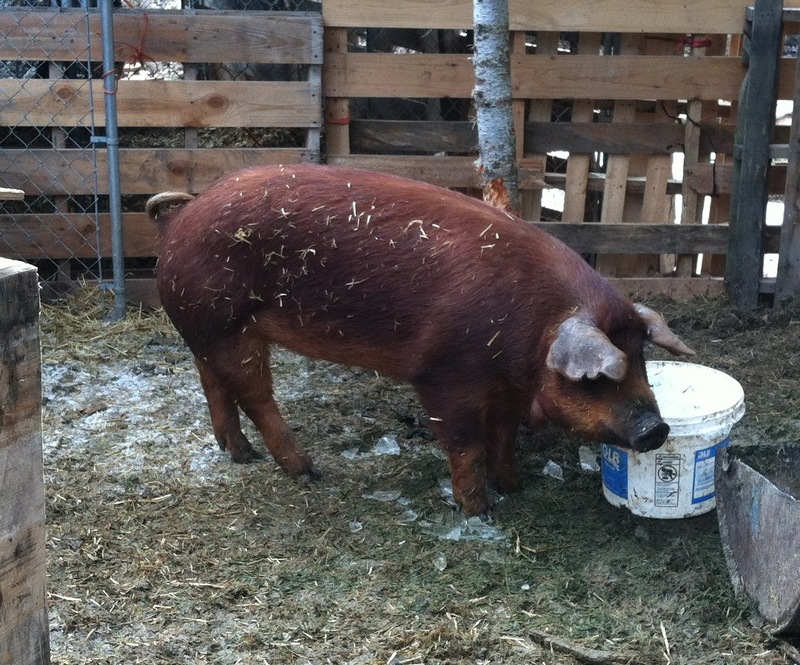 Very rare that a purebred Red is available, so call to reserve this butcher pig. 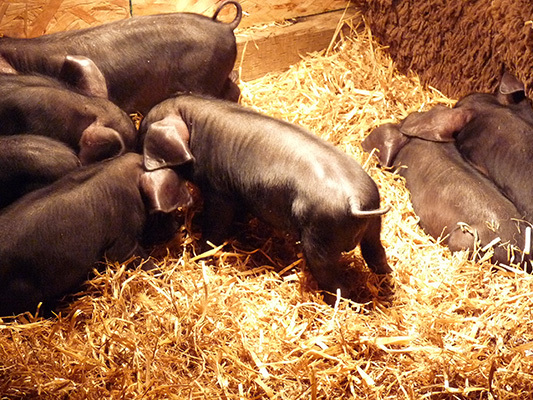 ADULT BUTCHER HOGS, usually available with 30 to 60 days notice. 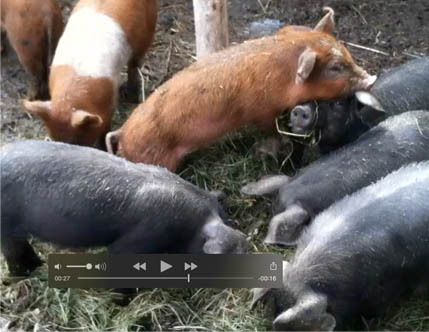 Known for their supurb meat, these crossed bring forth the delicacy of the Red Wattle marbled pork and the suculent more fatty and High omega 3 pasture pigs the Large Black hogs. 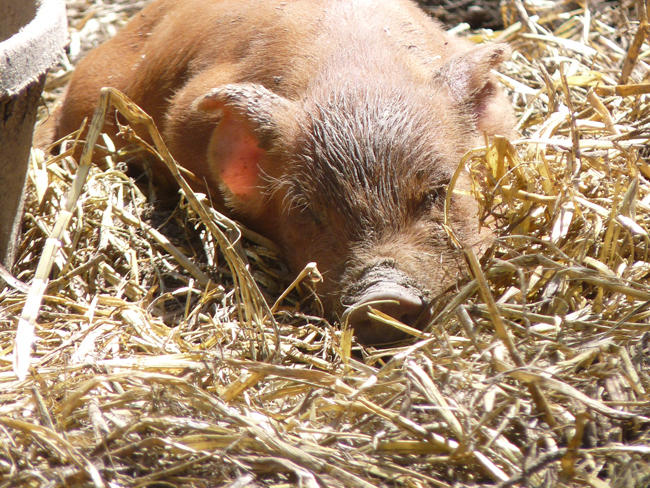 All piglets are started on alfalfa as soon as they start eating on their own. 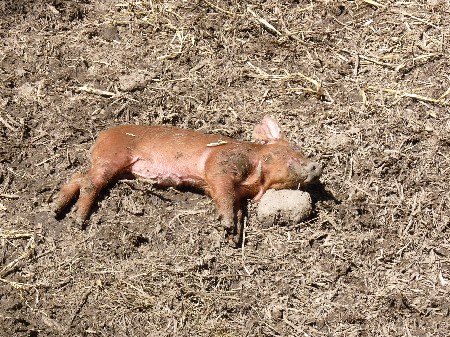 We feed ONLY NON-GMO food to our pigs. 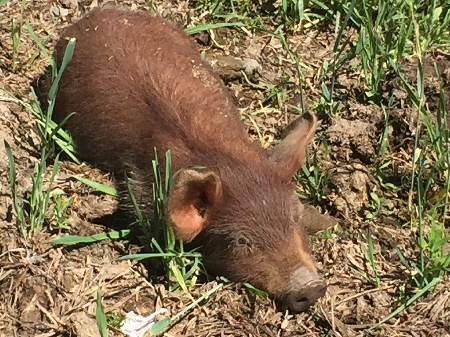 They graze on grasses and roots during the summer supllemented by NON GMO PEAS AND NON-GMO ALFAFA. 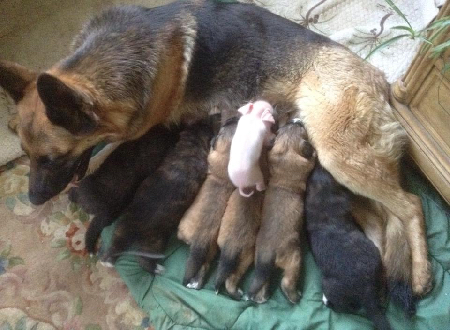 They are fed a natural vitamin and mineral suppliment to keep them happy and healthy. 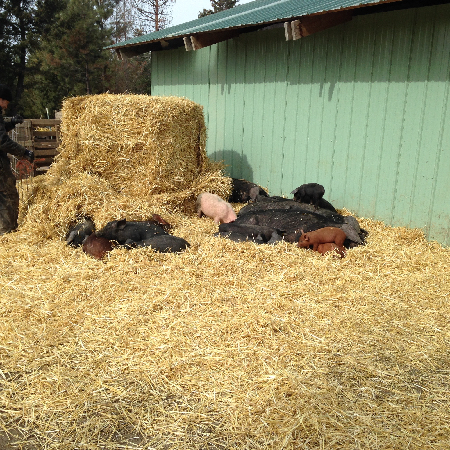 Winter time feeding consists of Mulched Alfalfa/ Molasis and Barley. 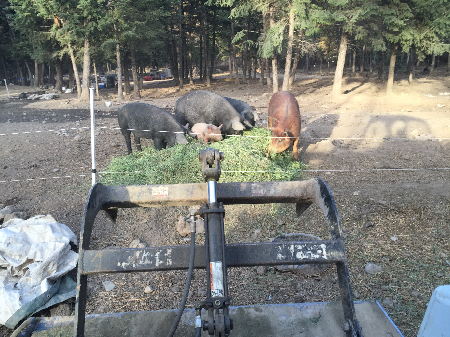 We have a local farmer grow our Alfalfa for us specifically so we can guarantee a stricktly healthy NON-GMO diet. 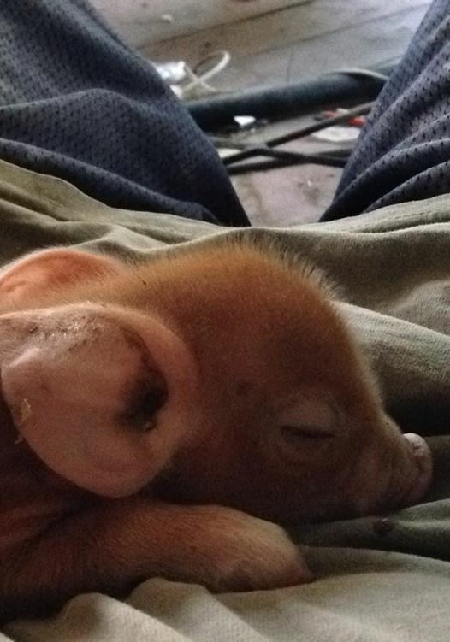 WE DO NOT FEED SOY OR CORN of any type. If you are interested in 1/2 or wholes, just call us. 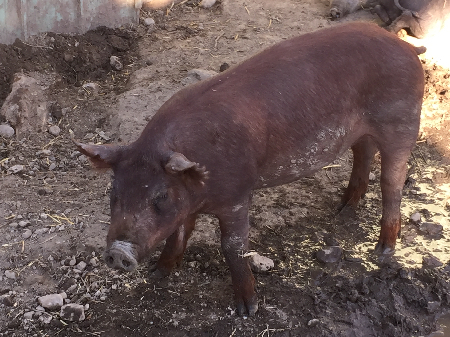 Select Breeding Stock and pairs are available in Large Black, Old Spot Hogs and Red Wattles. 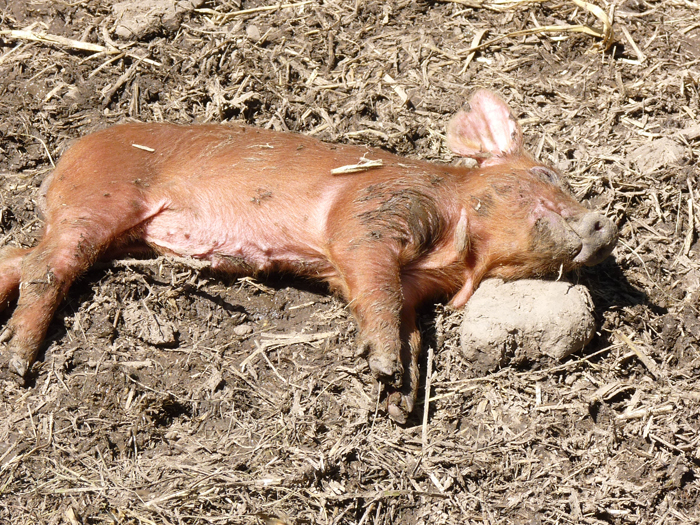 Great Garlic, Great Pigs, and Great Poultry!